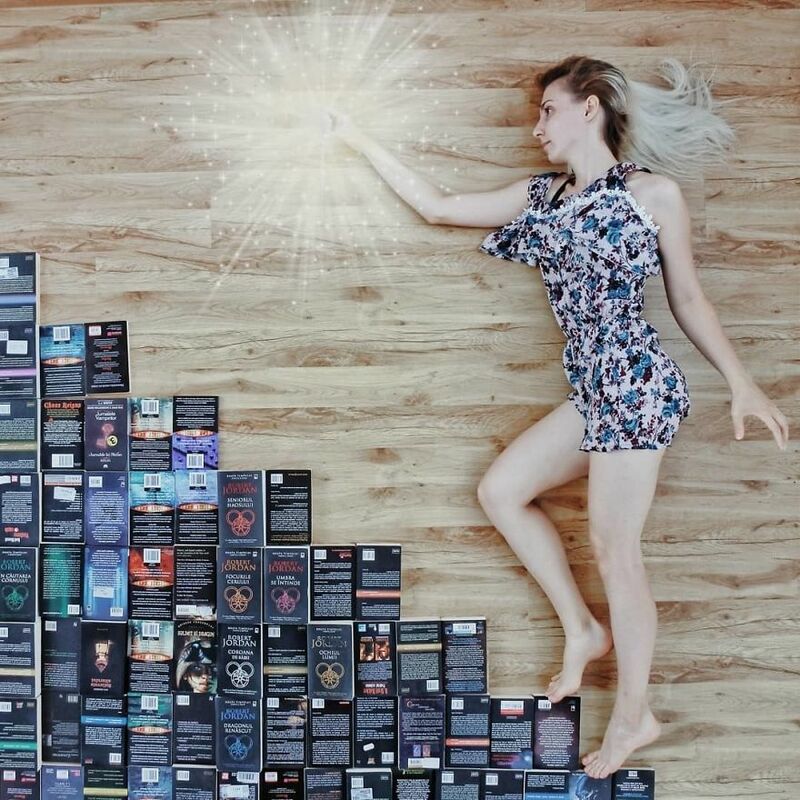 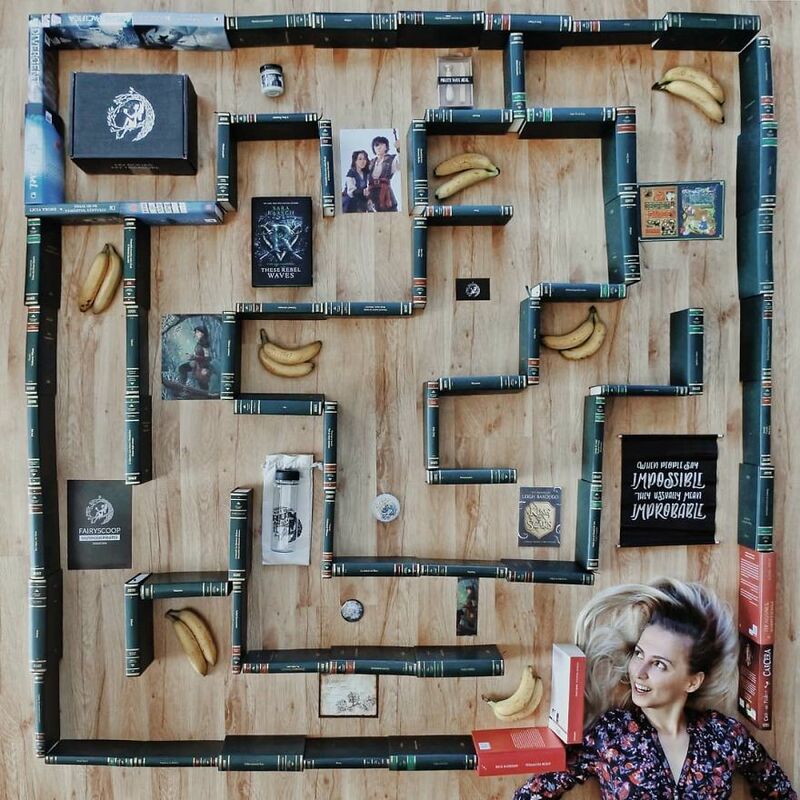 Book-Lover Turns Her Massive Library Into Art, And Her 90k Instagram Followers Approve – Because in this game of life the more you know the better player you will be. 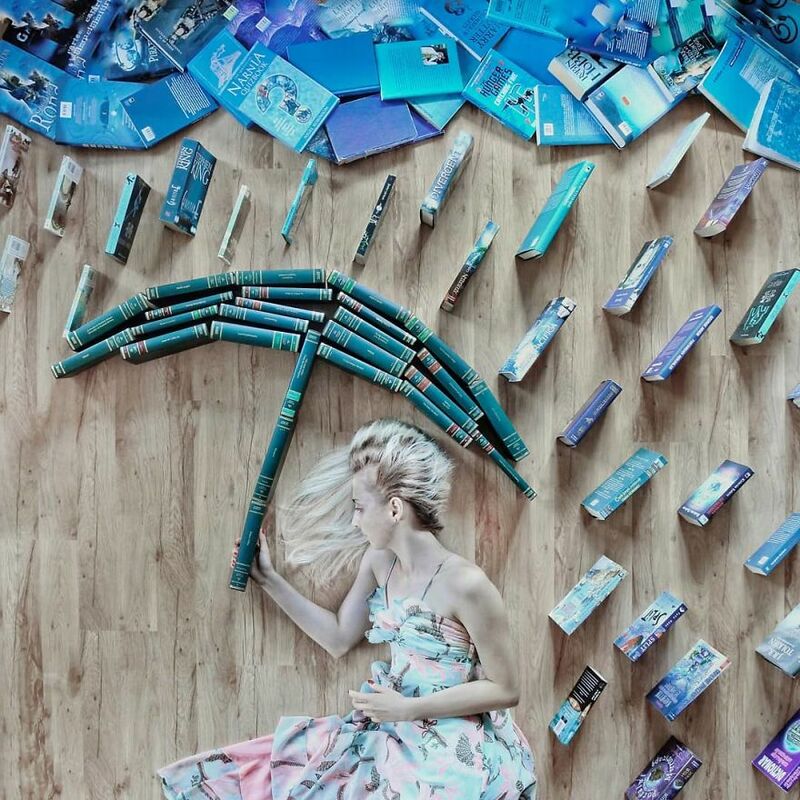 Some people like to read art books, others enjoy making art from books. 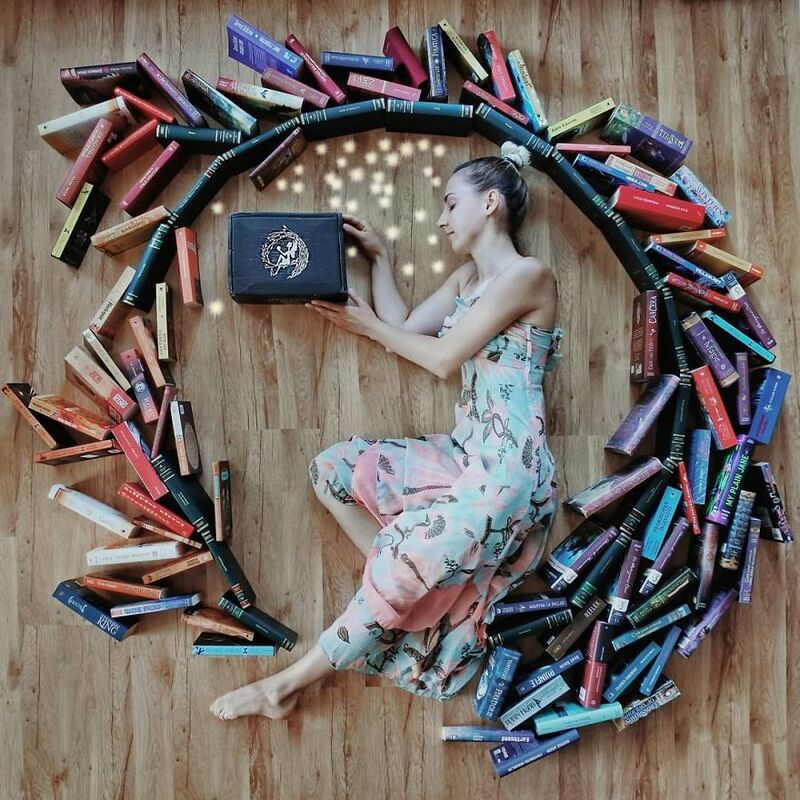 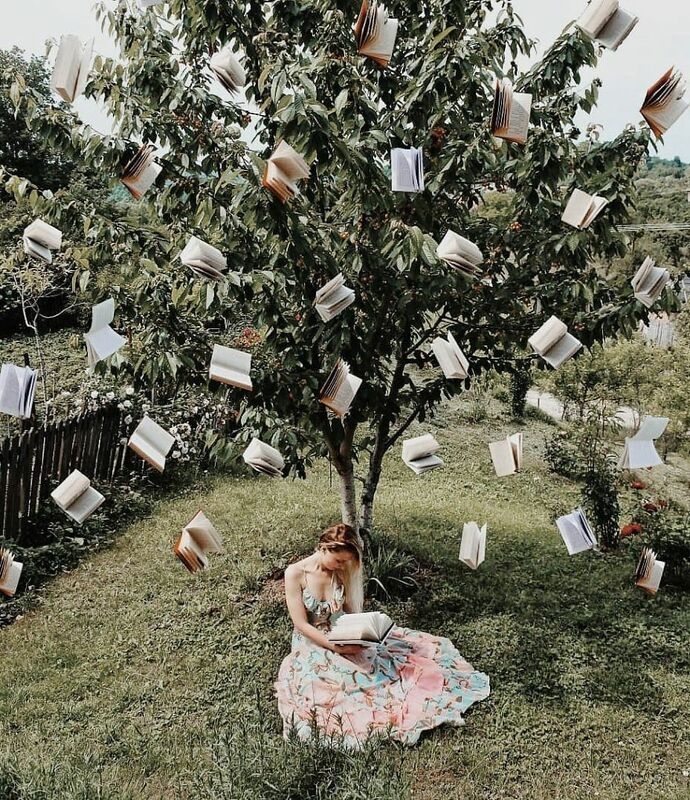 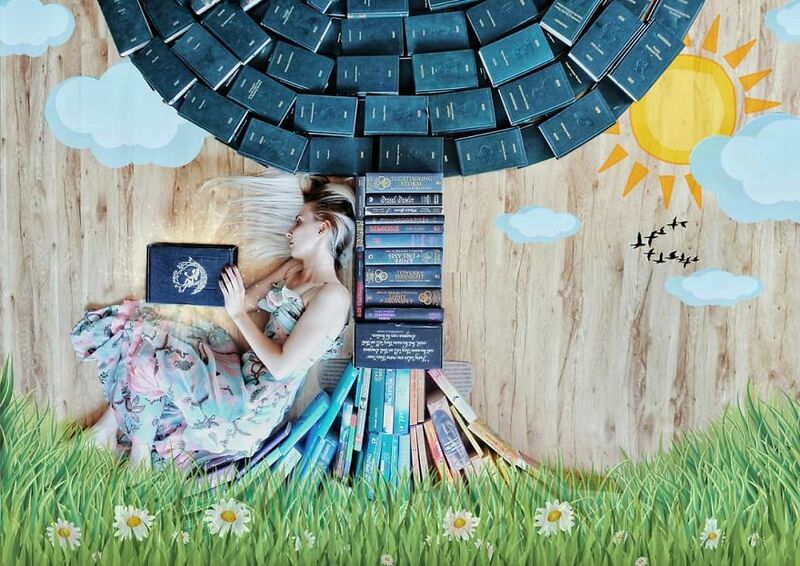 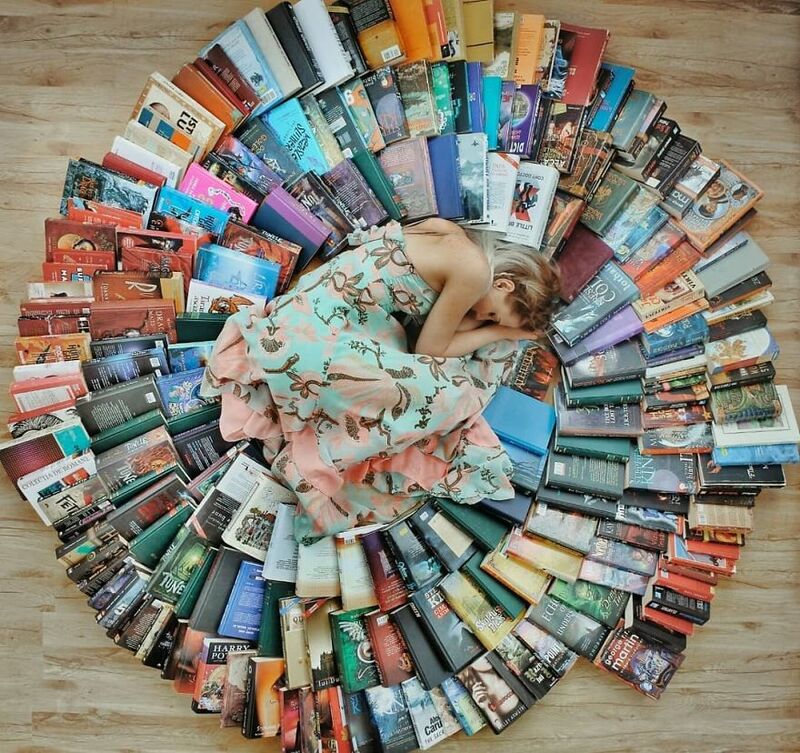 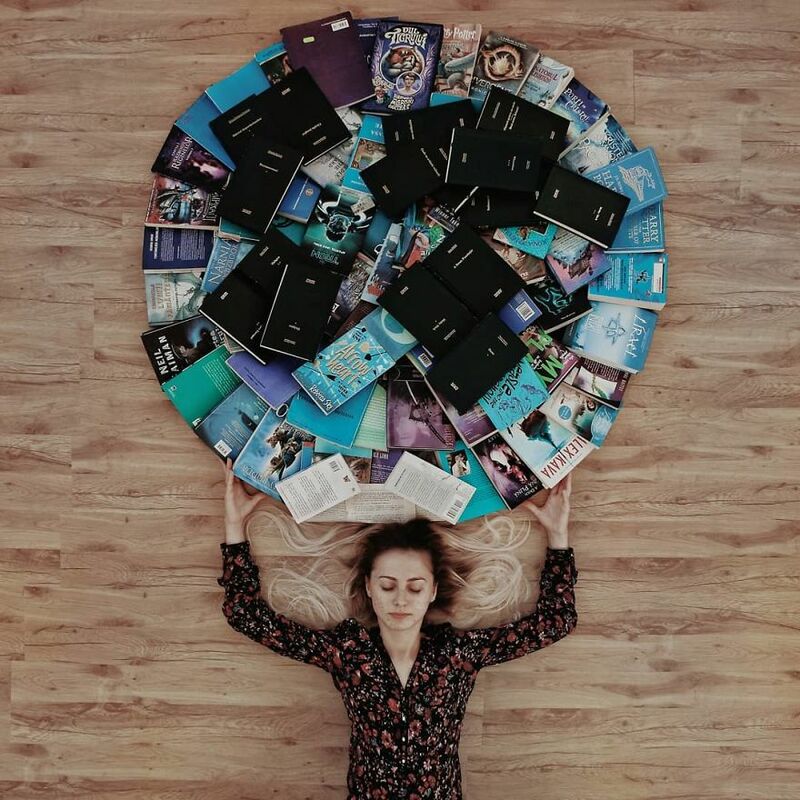 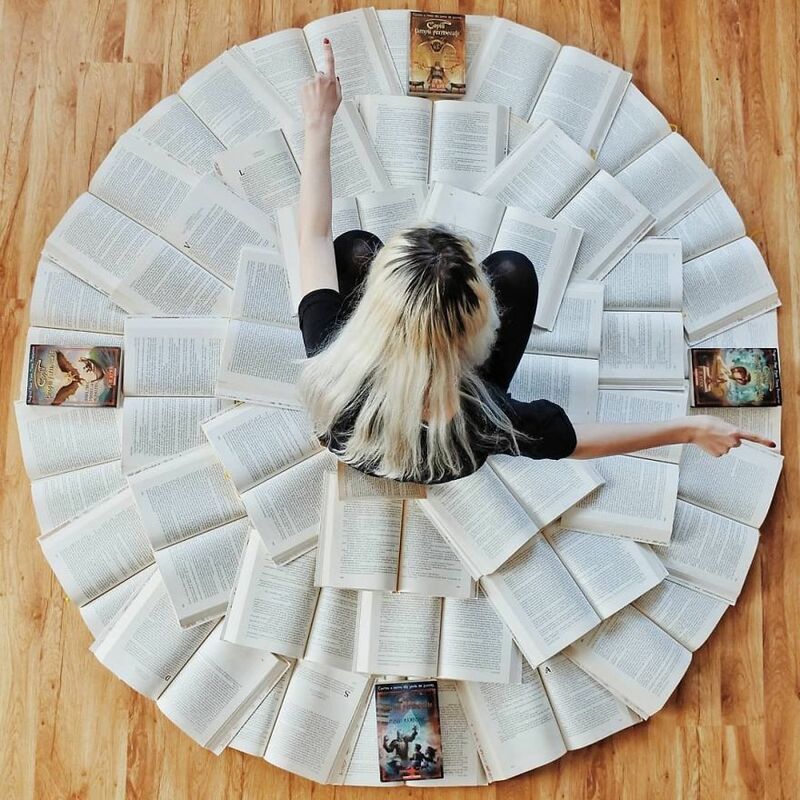 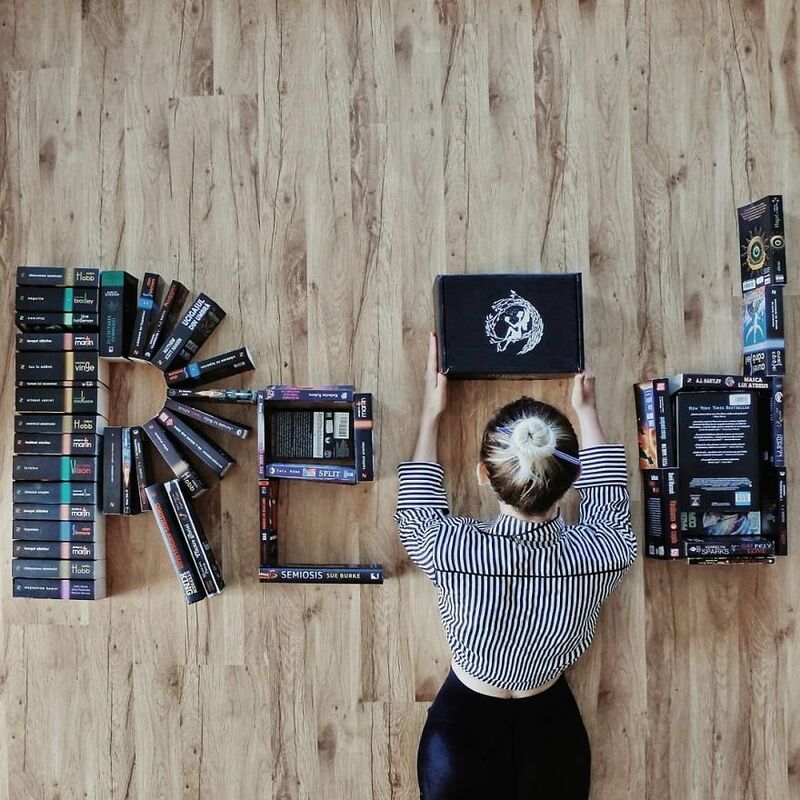 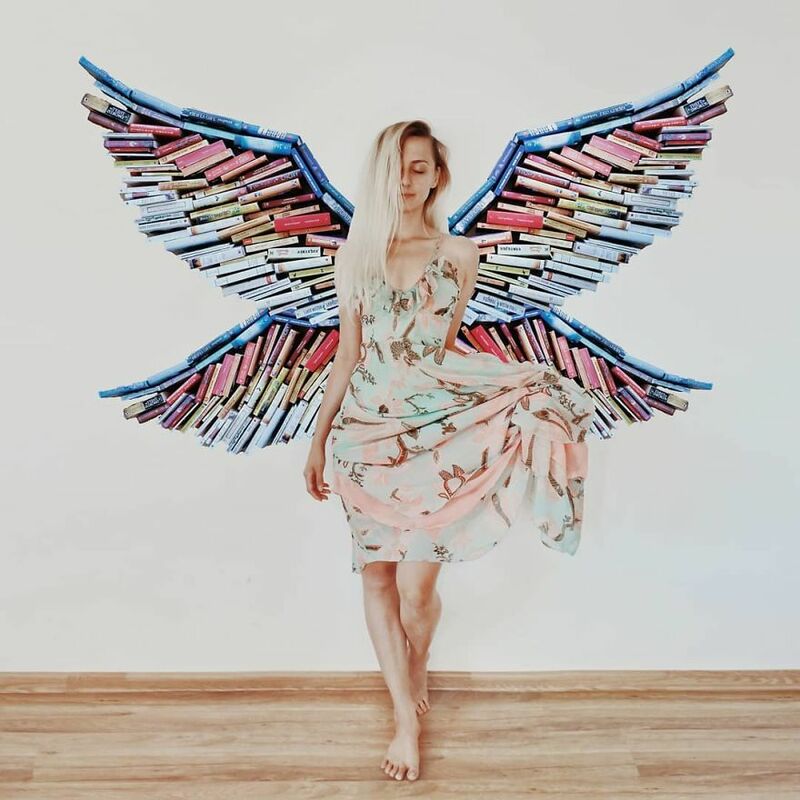 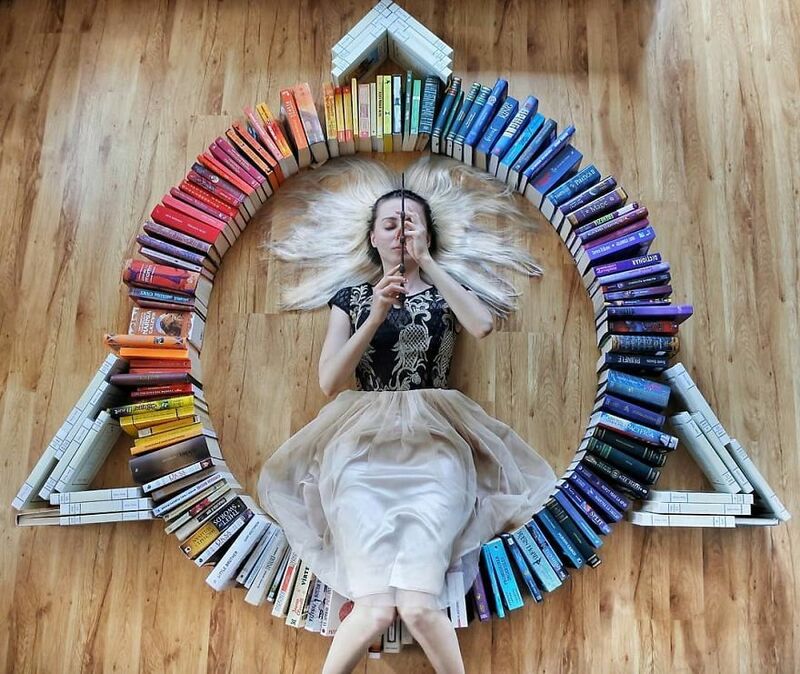 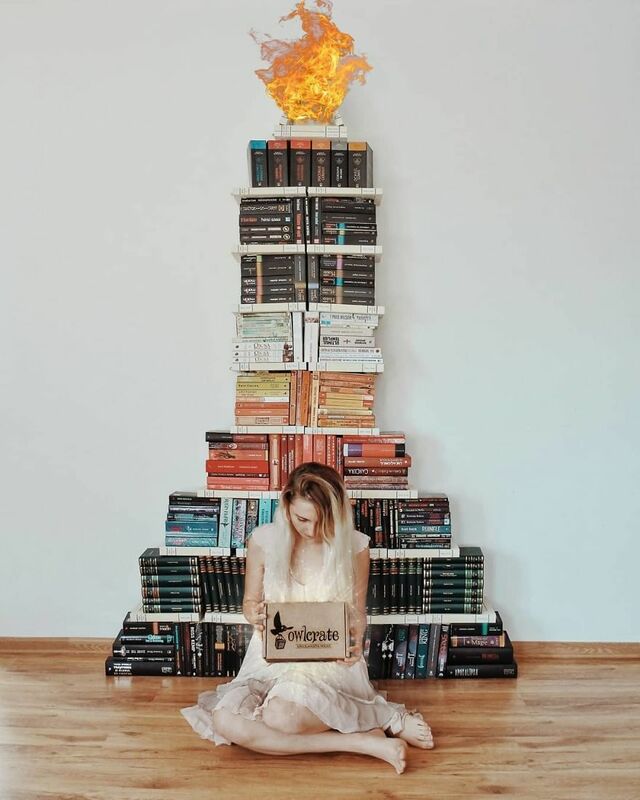 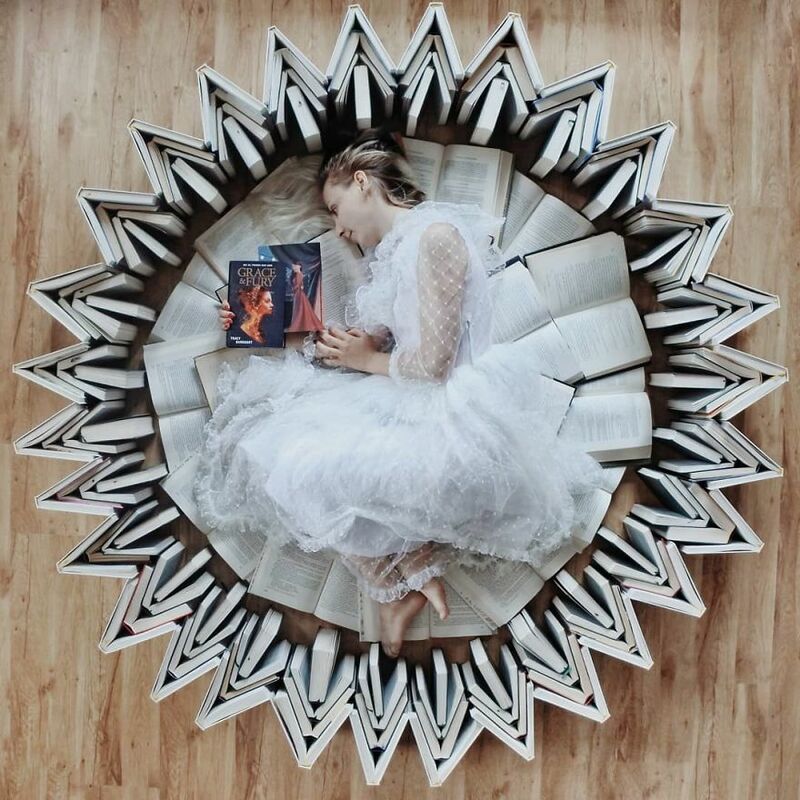 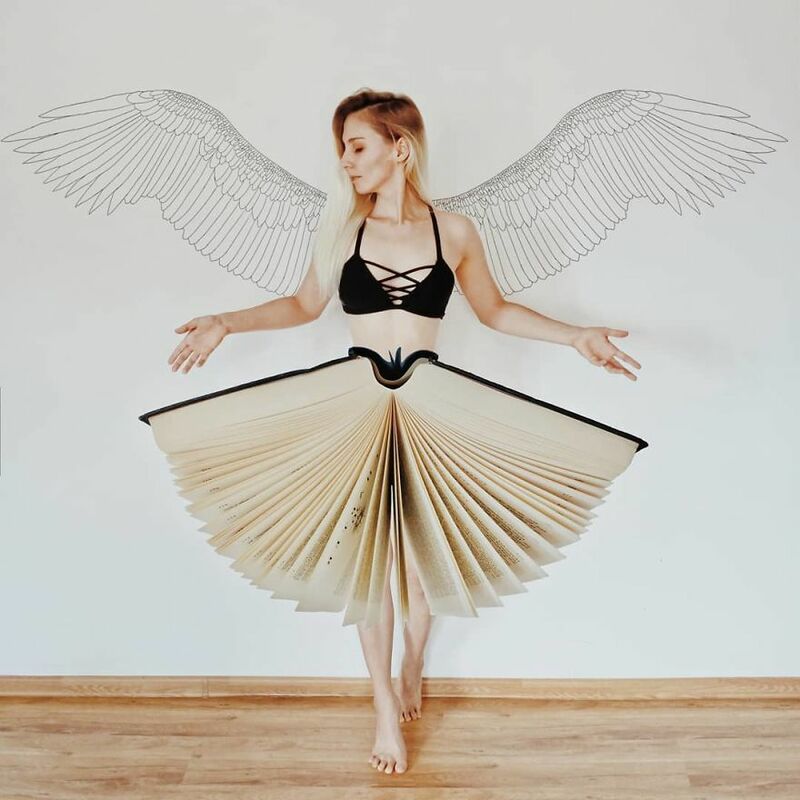 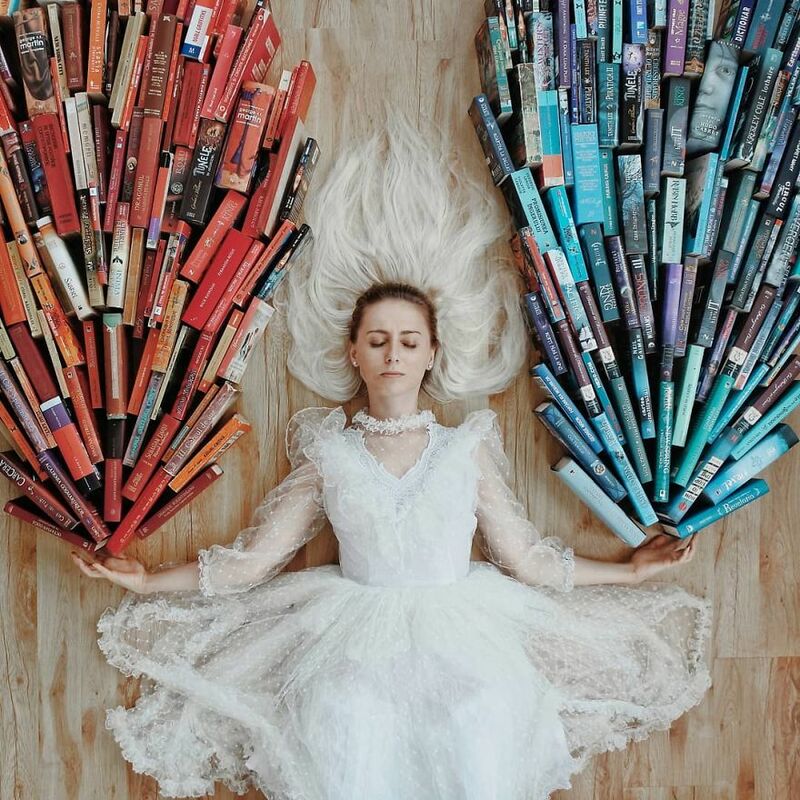 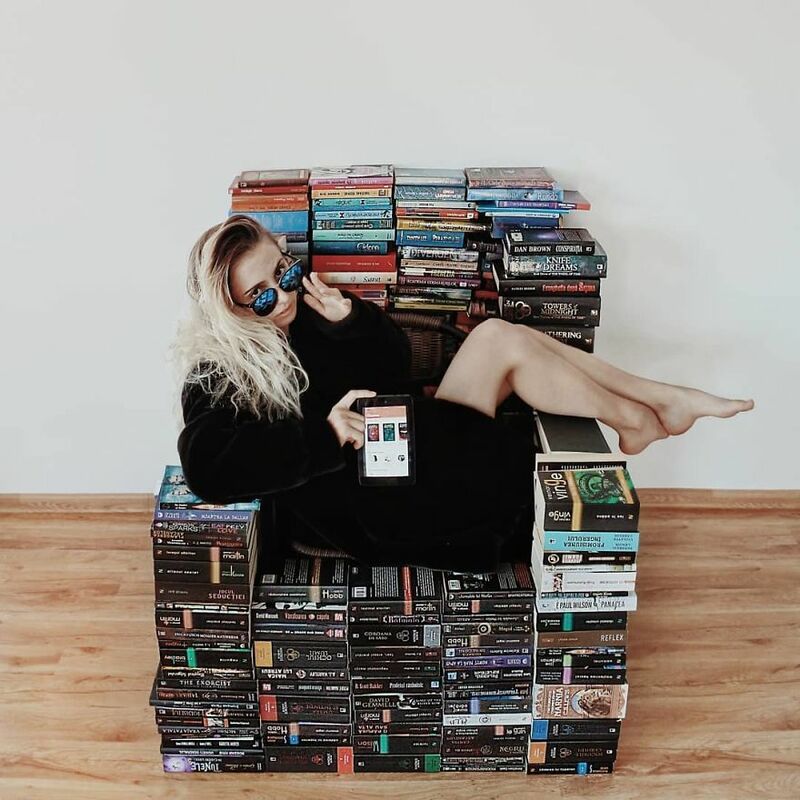 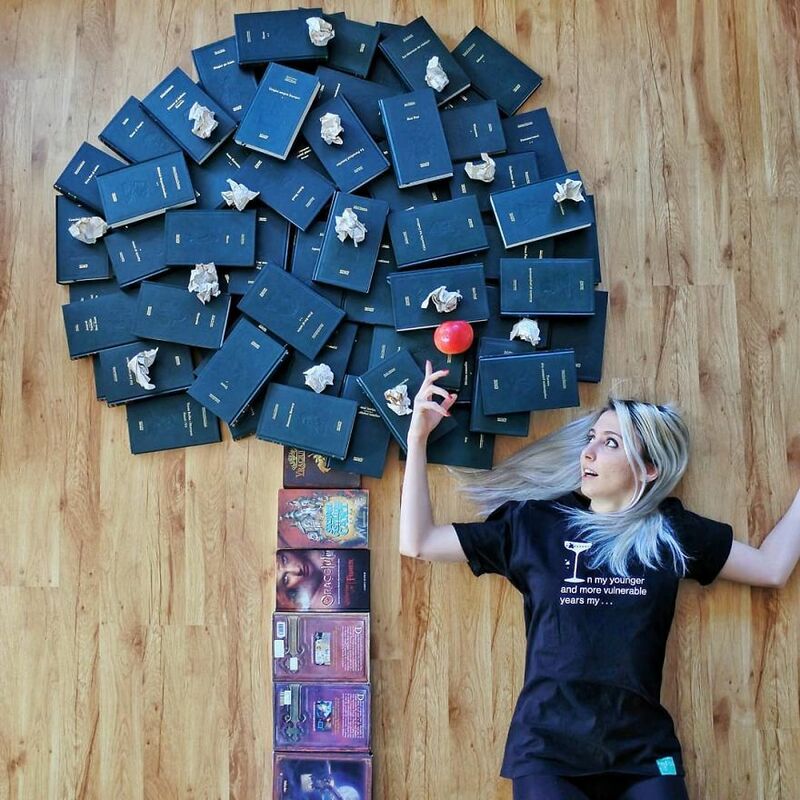 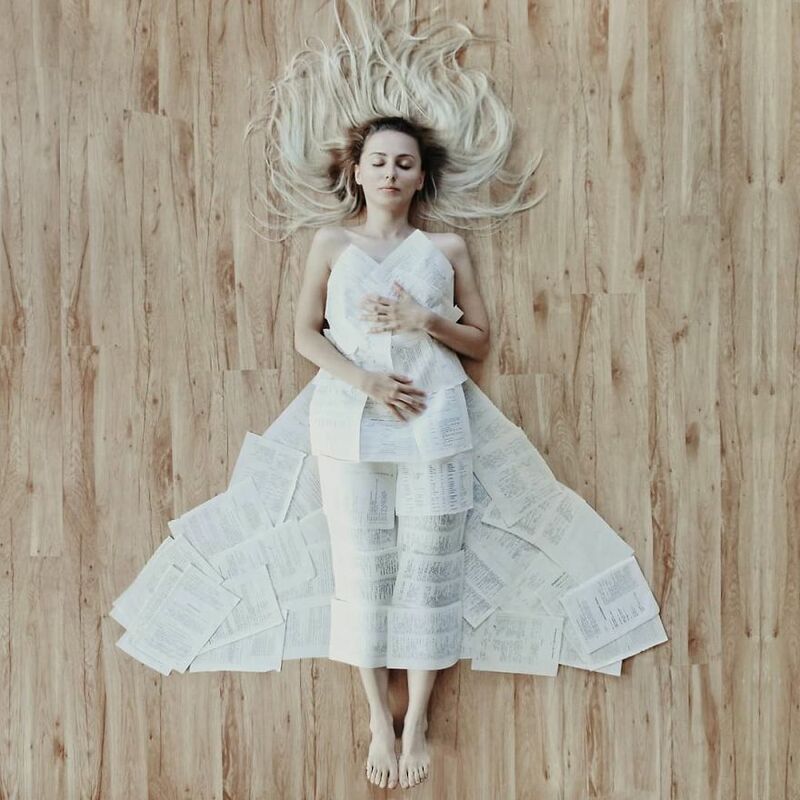 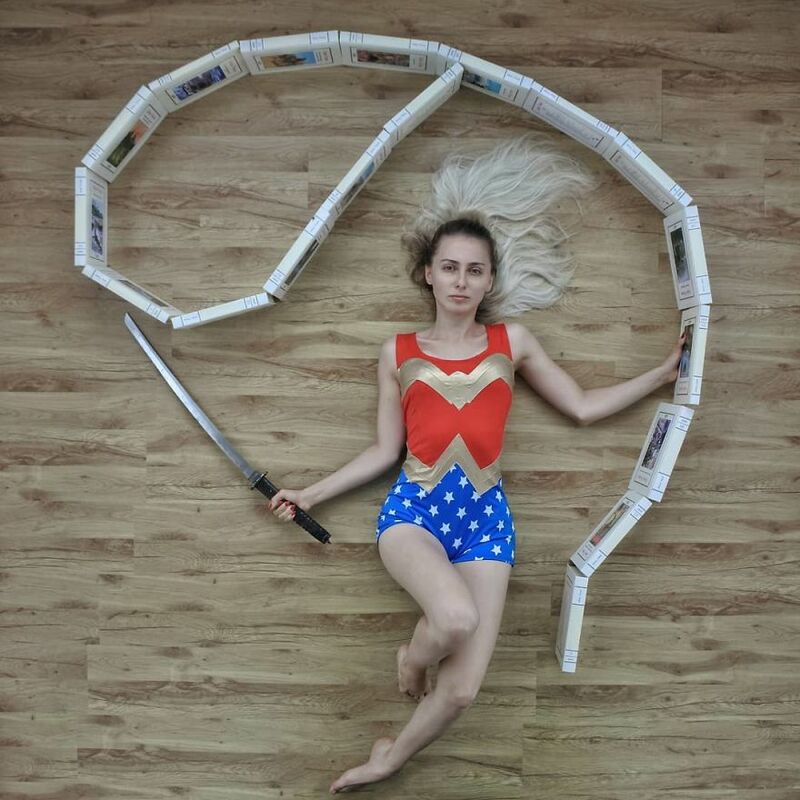 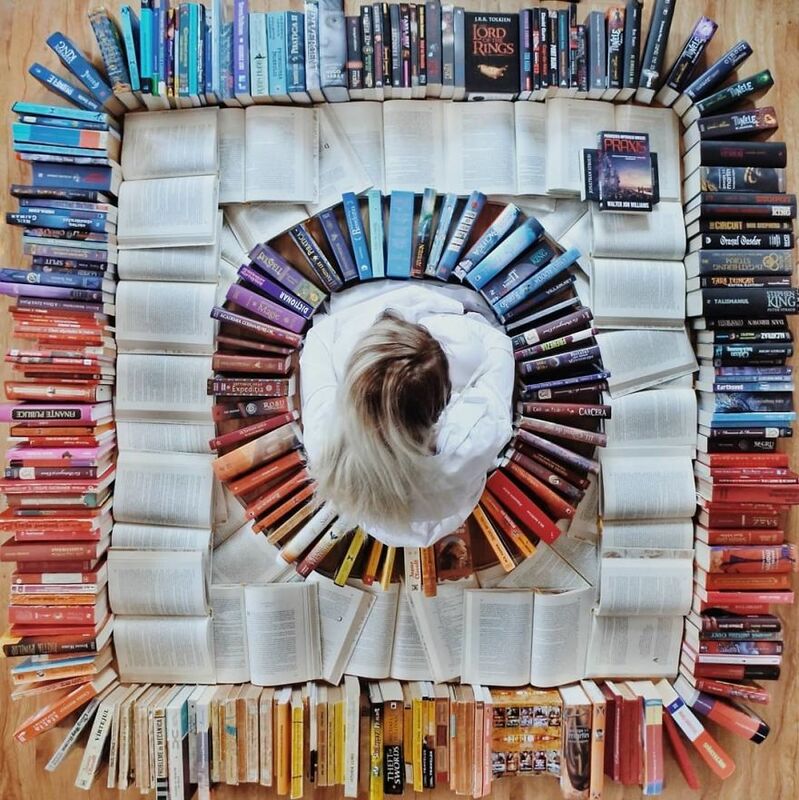 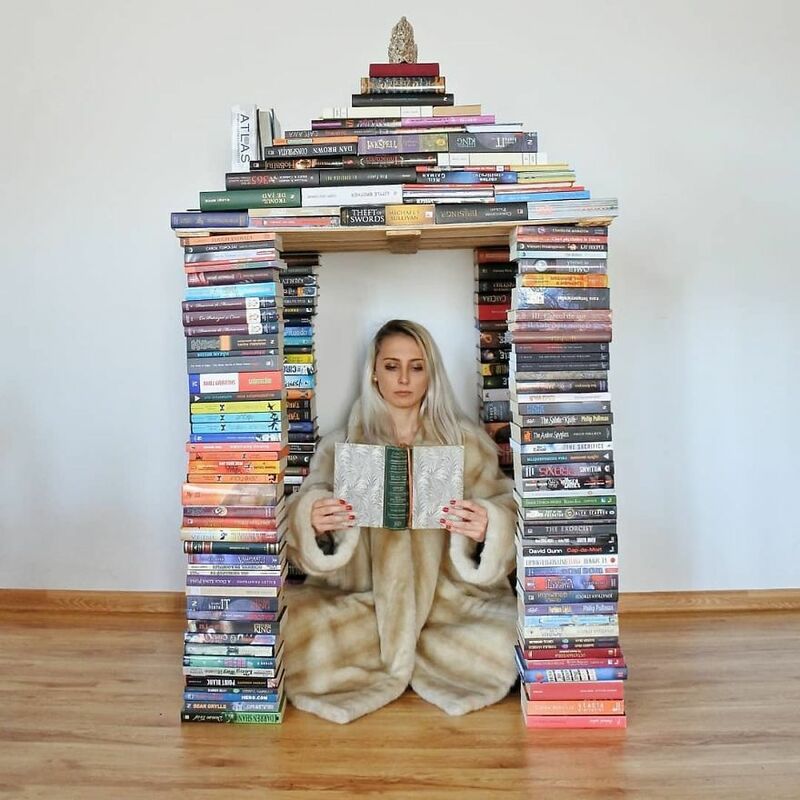 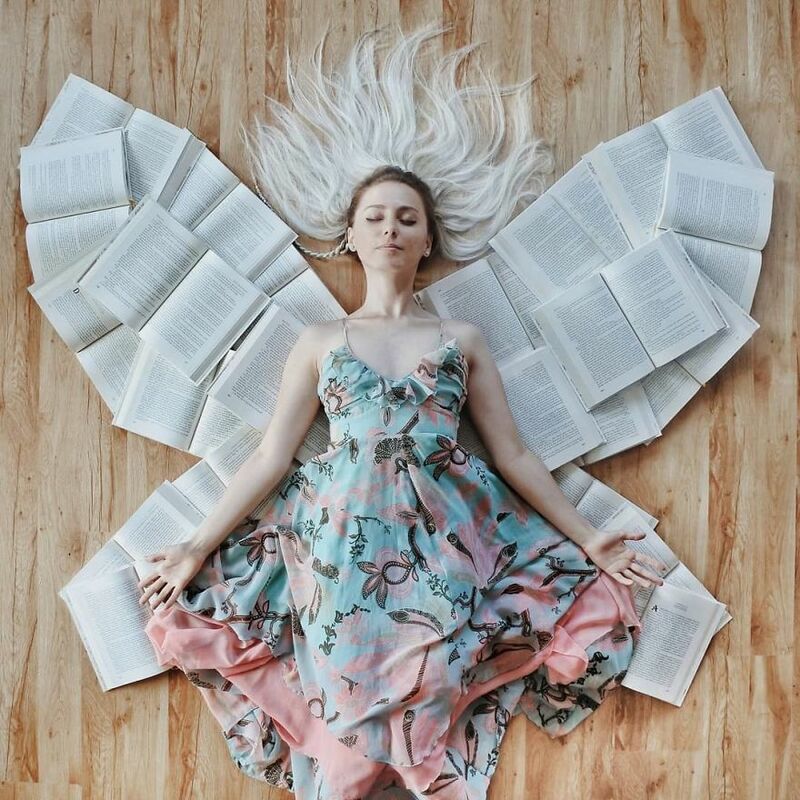 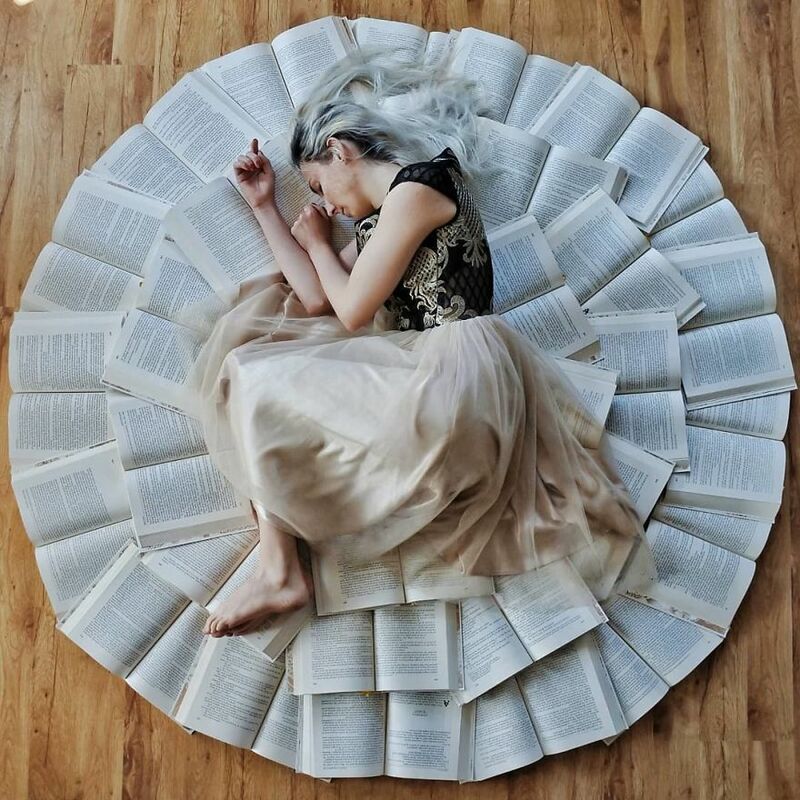 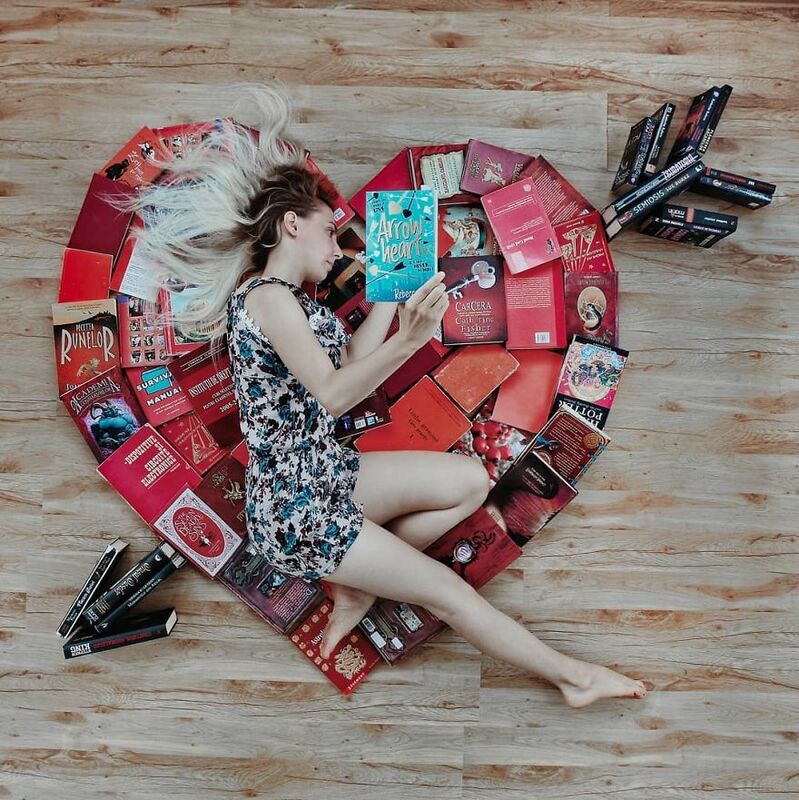 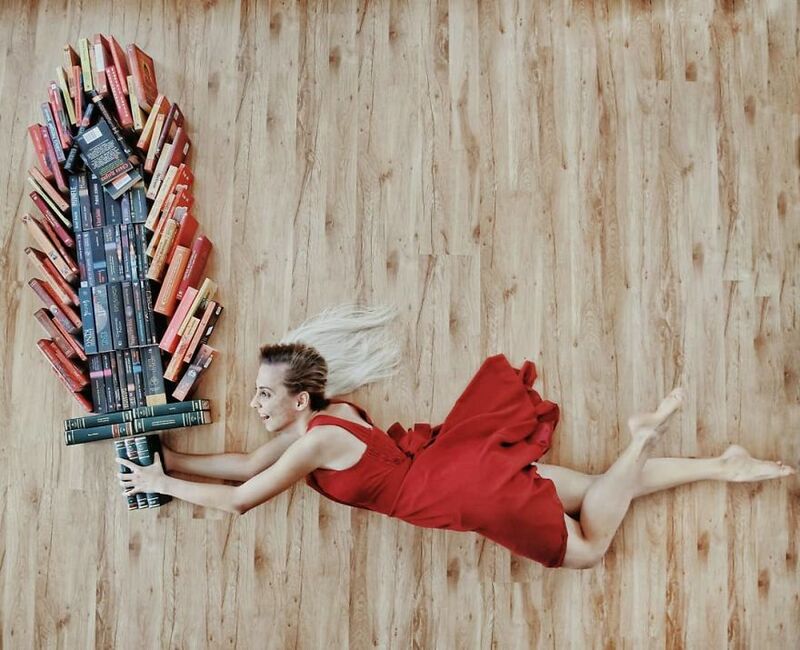 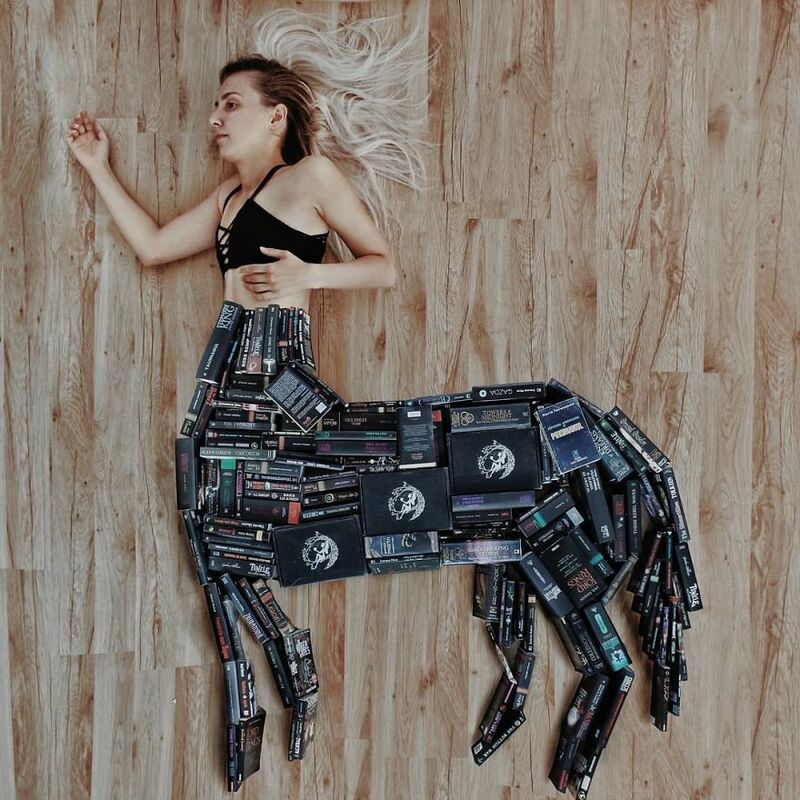 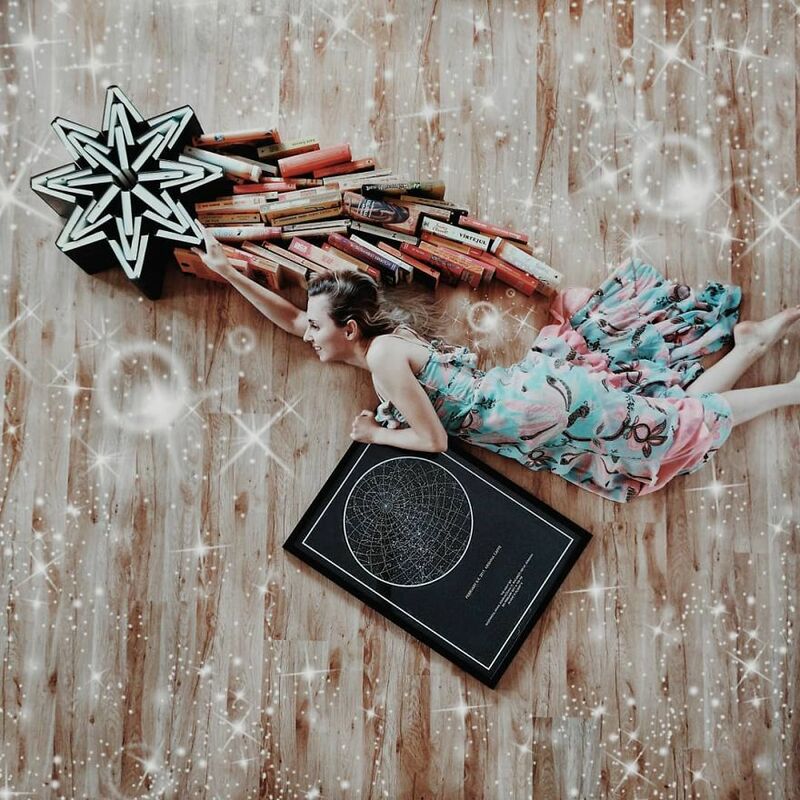 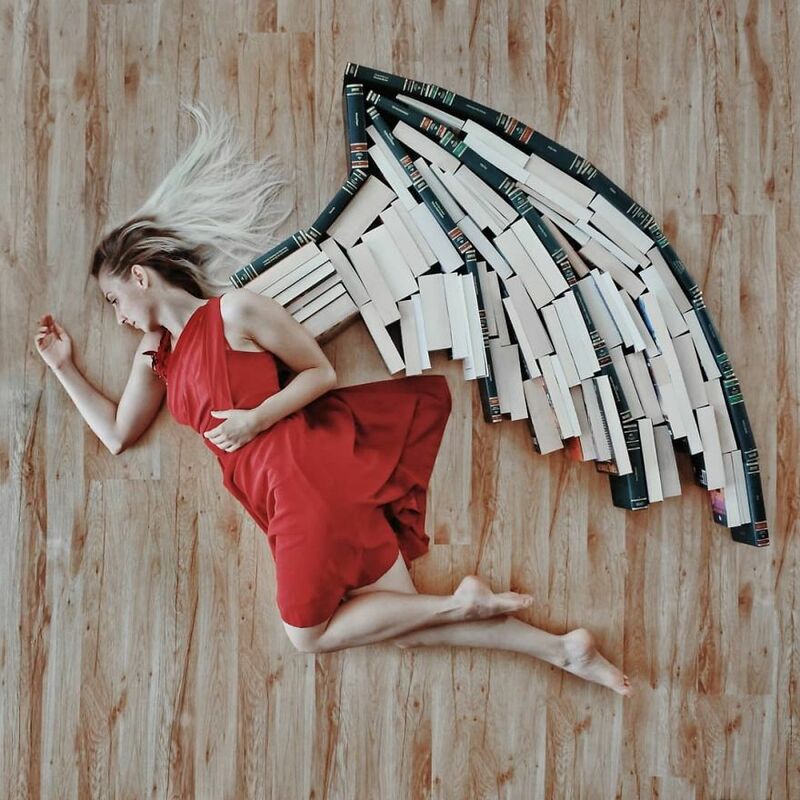 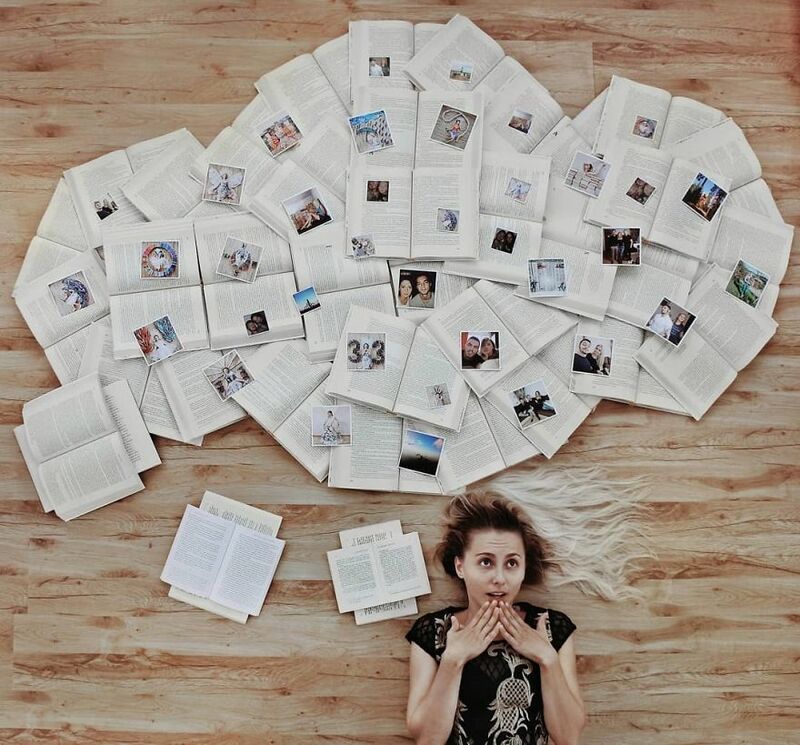 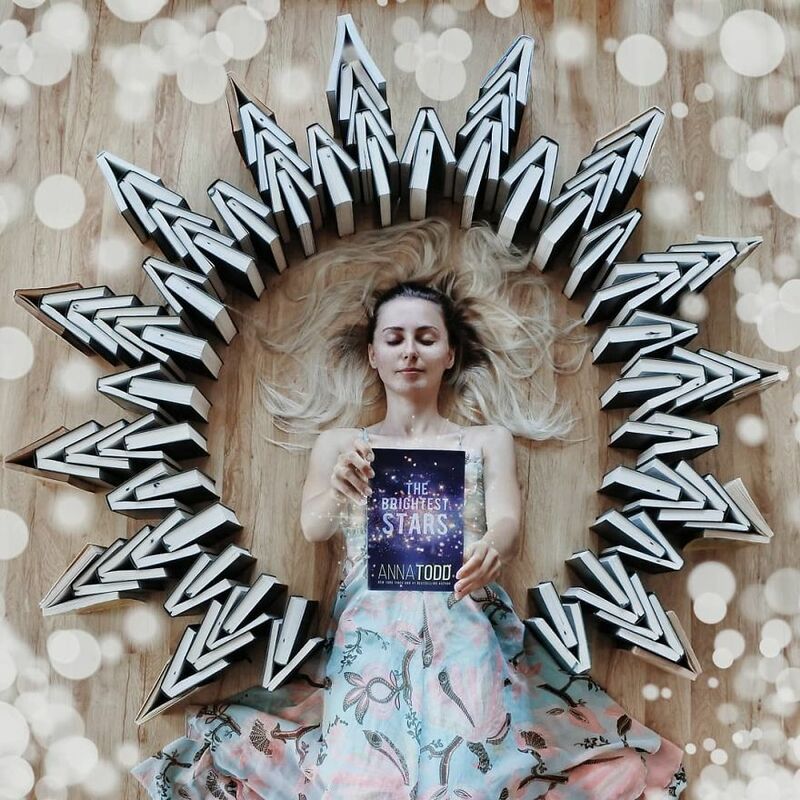 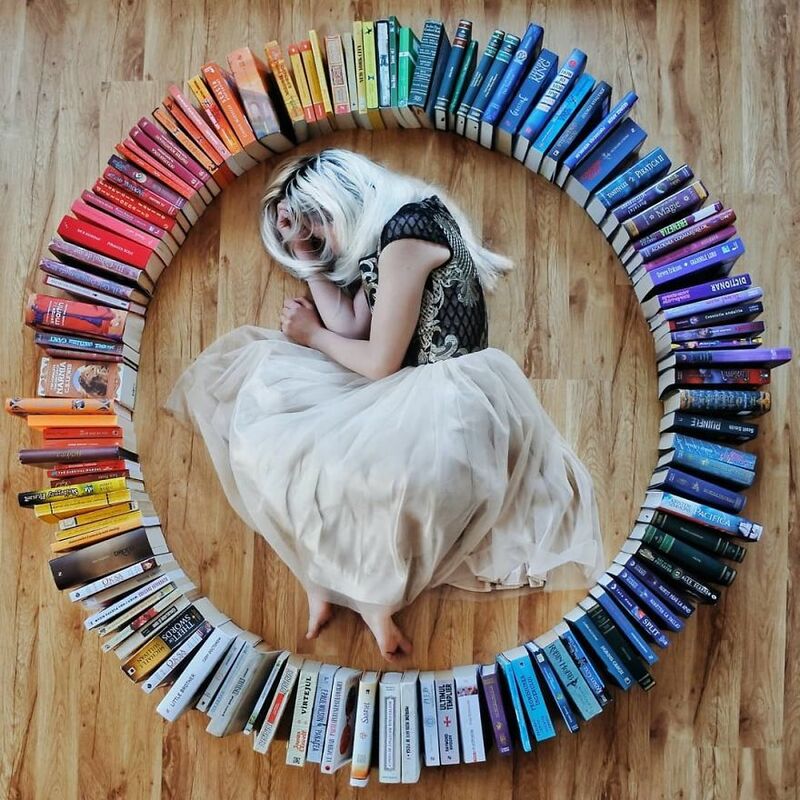 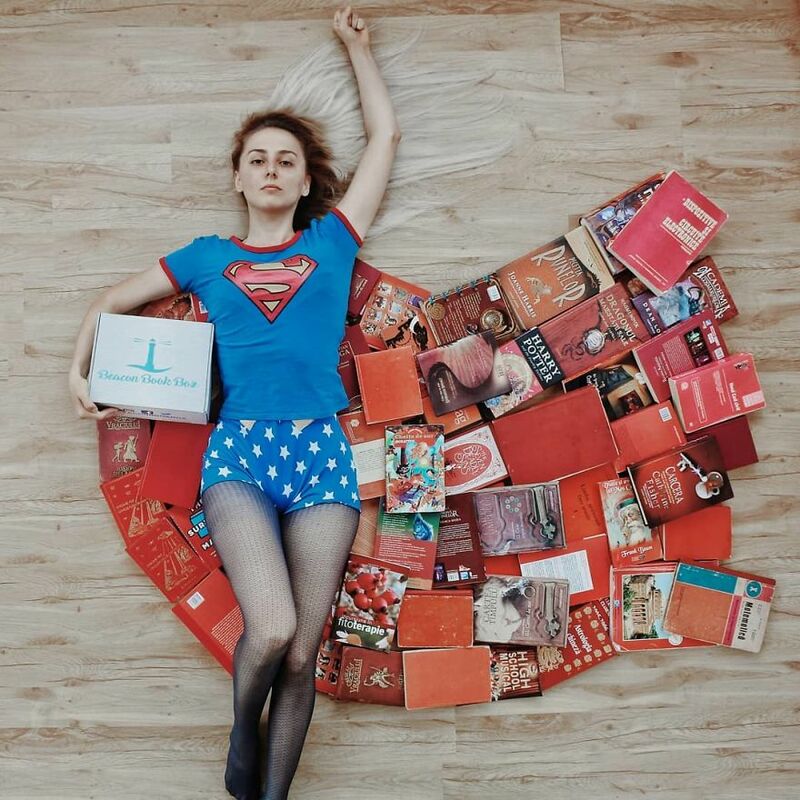 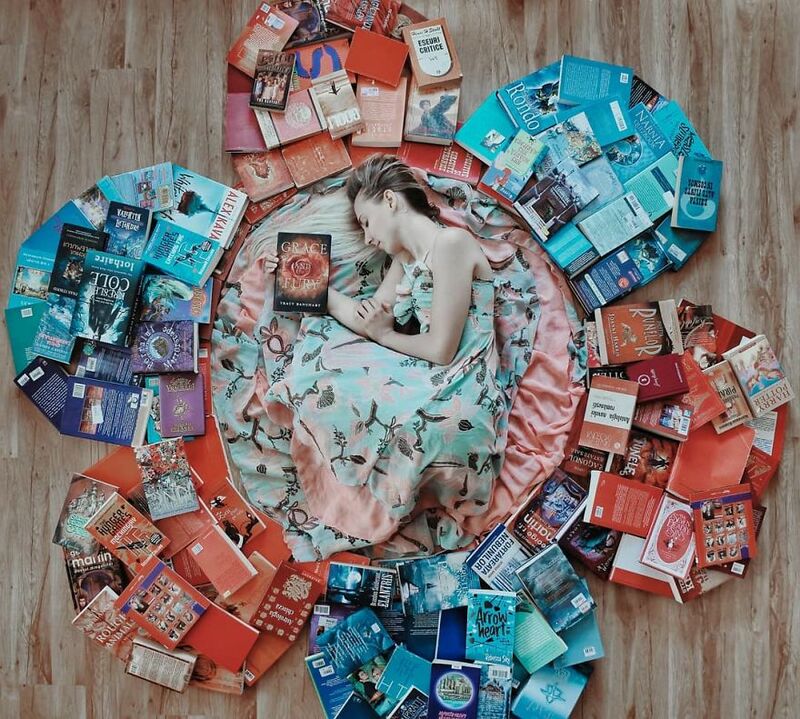 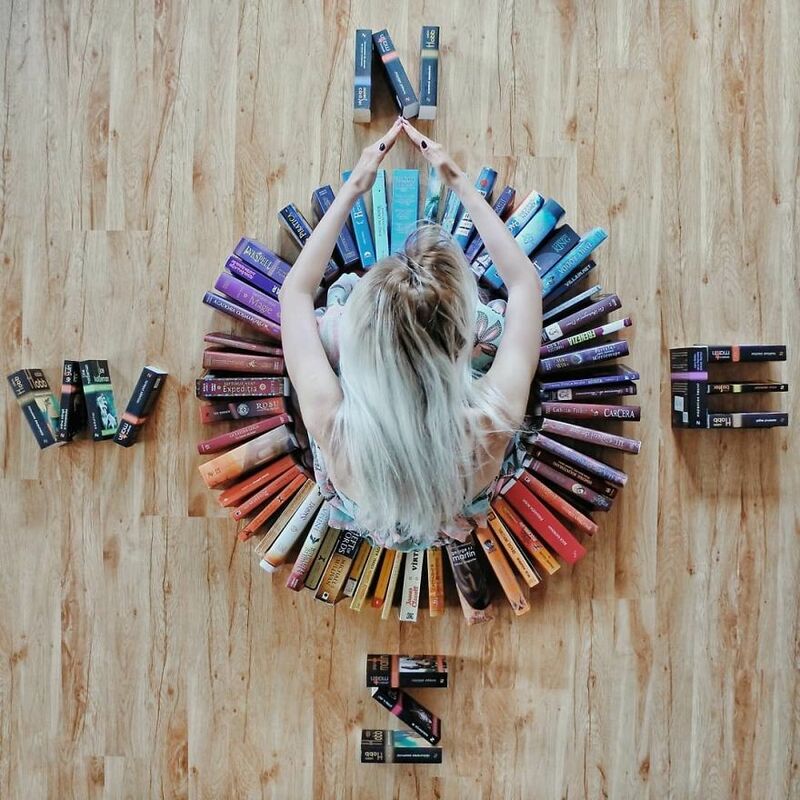 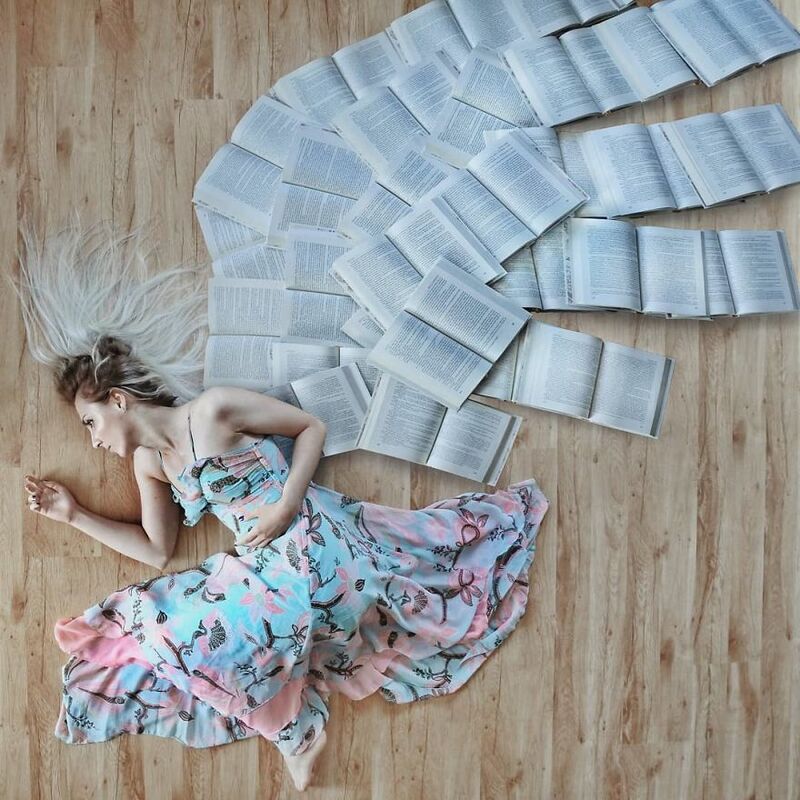 ‘Bookstagrammer’ Elizabeth Sagan has been sharing her love for books with her 90k followers for several years, and never ceases to amaze everyone with her creative scenarios. 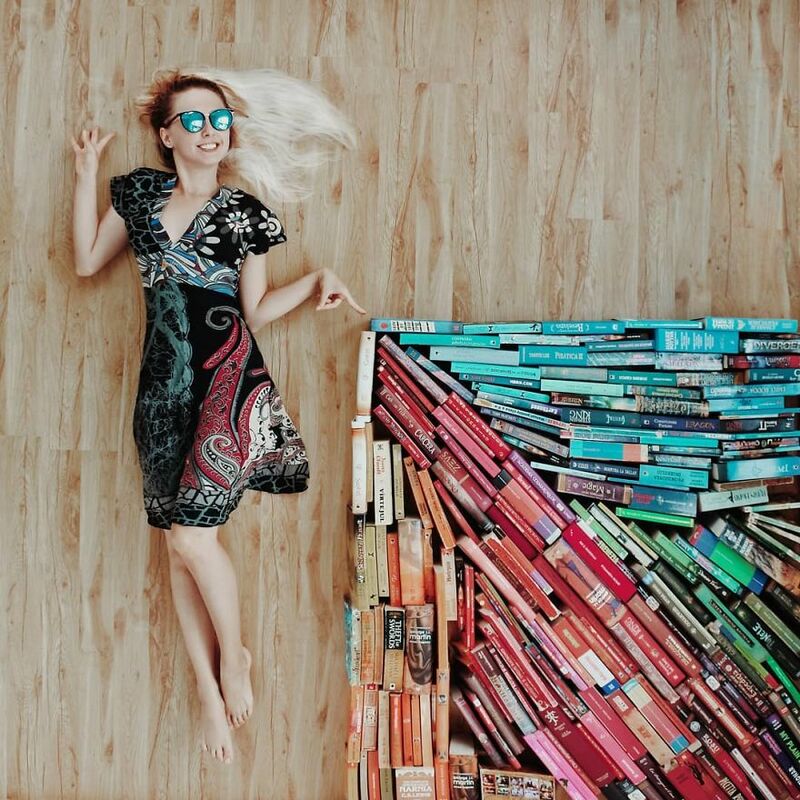 It all began with sharing her favorite reads, then interactive shots with a bookcase. 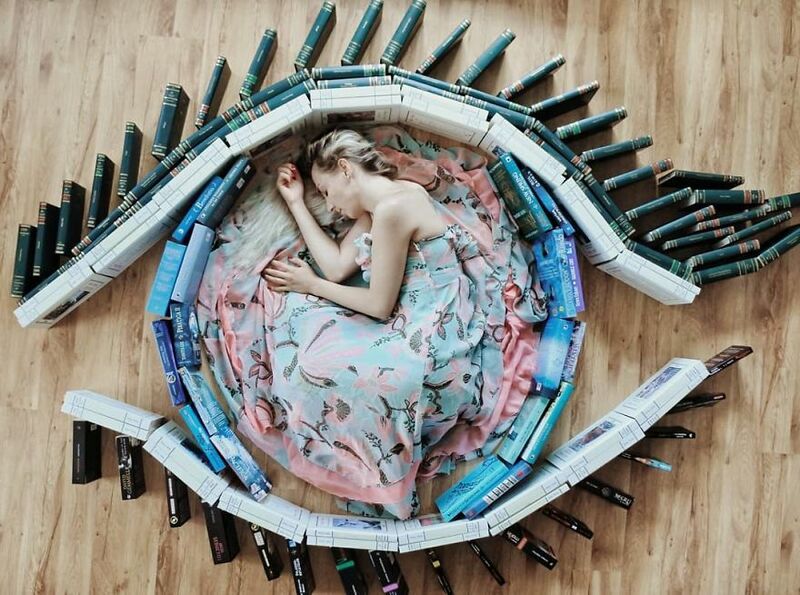 As she became more and more involved with the idea, photos got steadily more complex and creative. 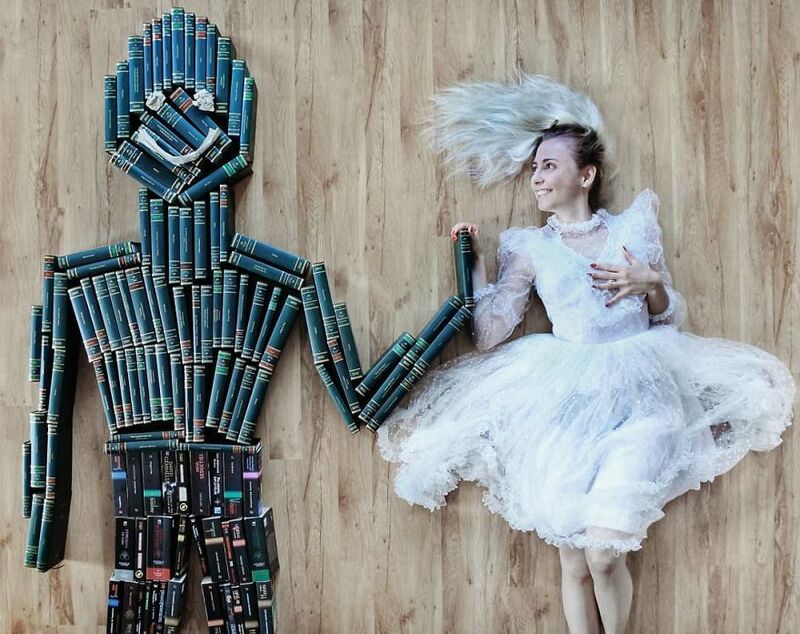 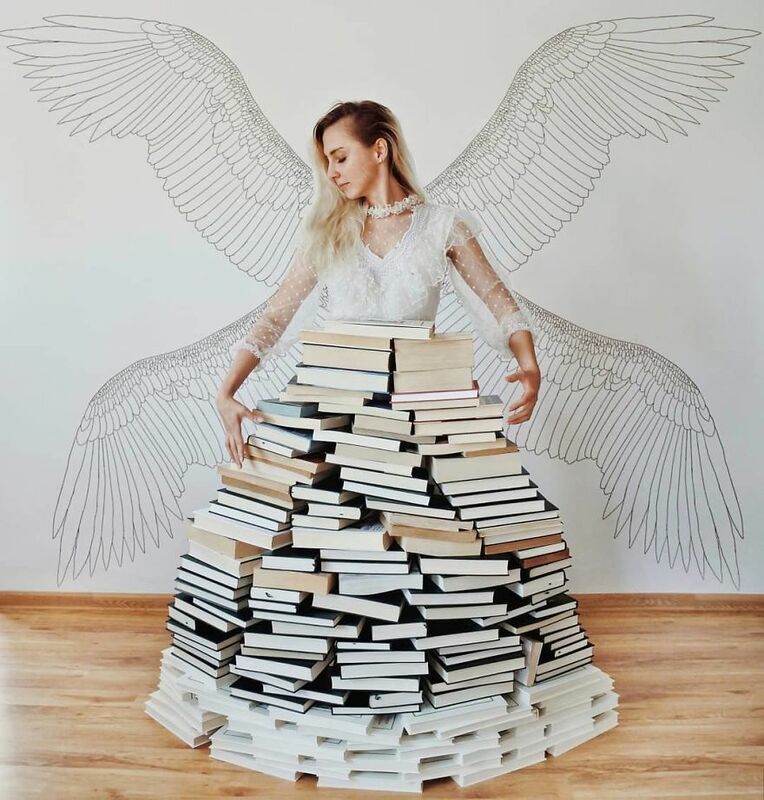 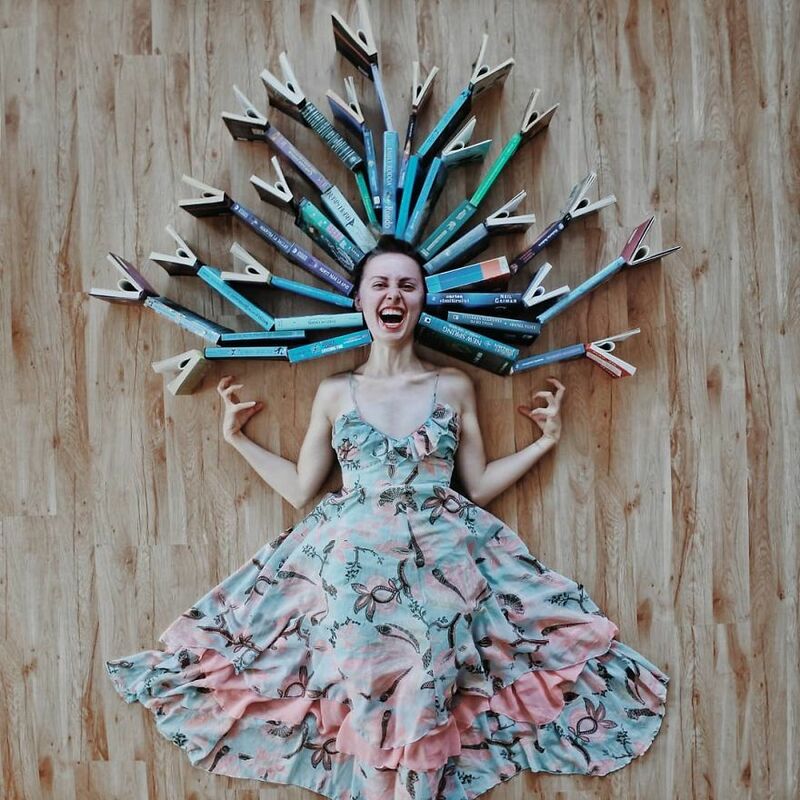 Today she creates intricate and inspiring artwork from her massive collection of books. 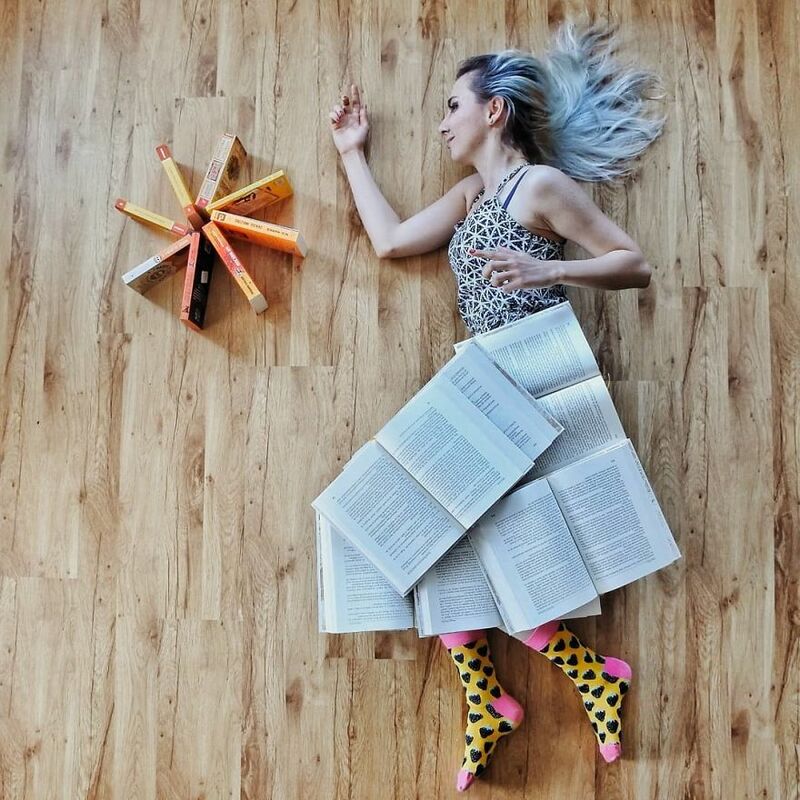 If this art form seems familiar, it’s because Elizabeth brainstorms and creates literary scenes with her good friend James Trevino, whom we featured in Bored Panda earlier this year. 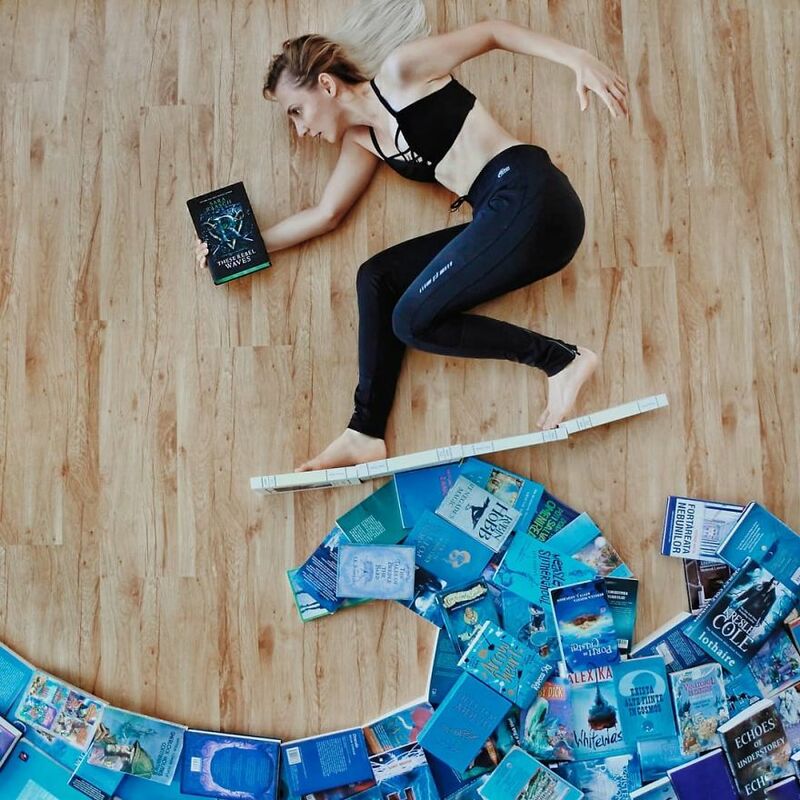 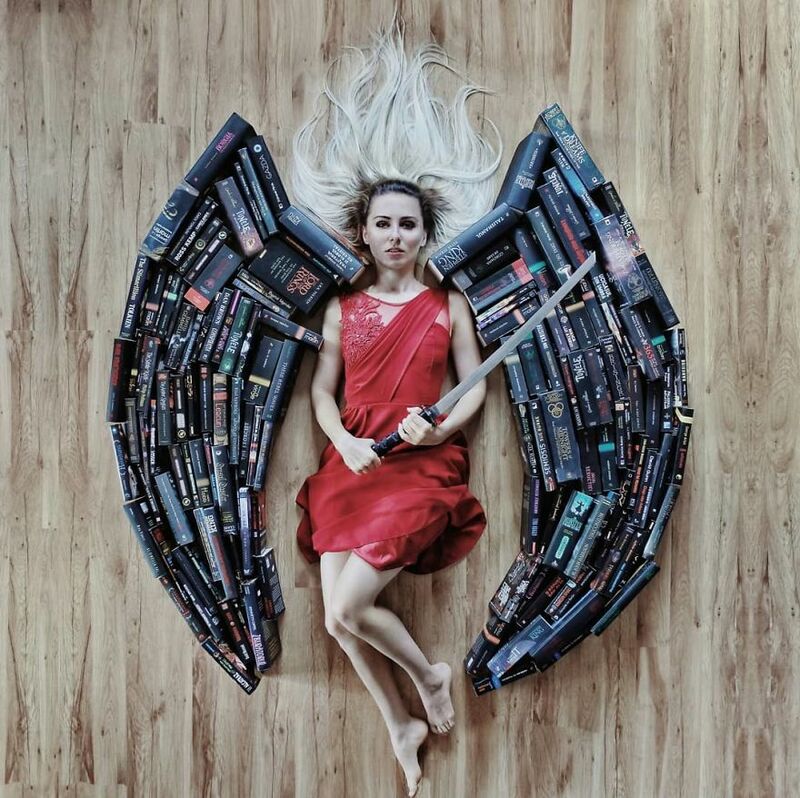 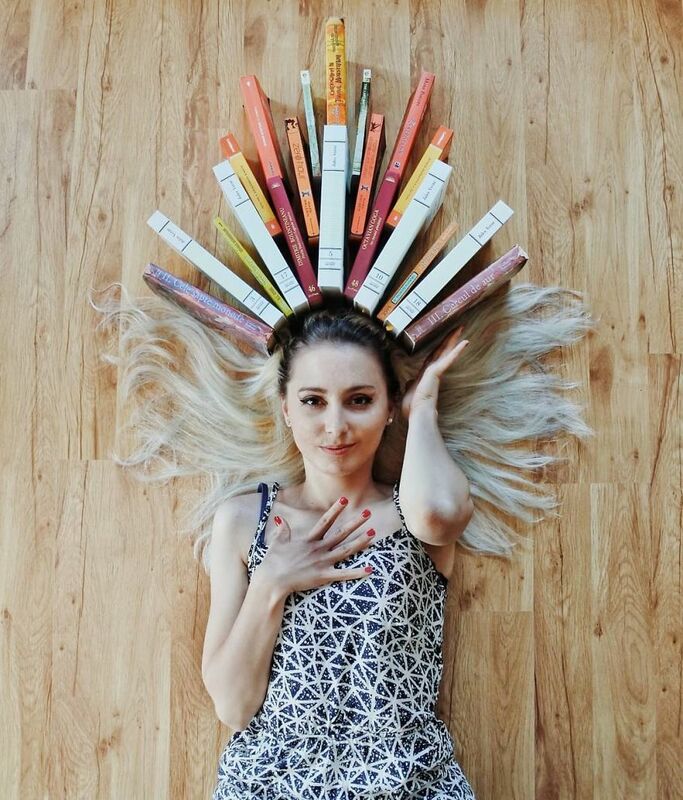 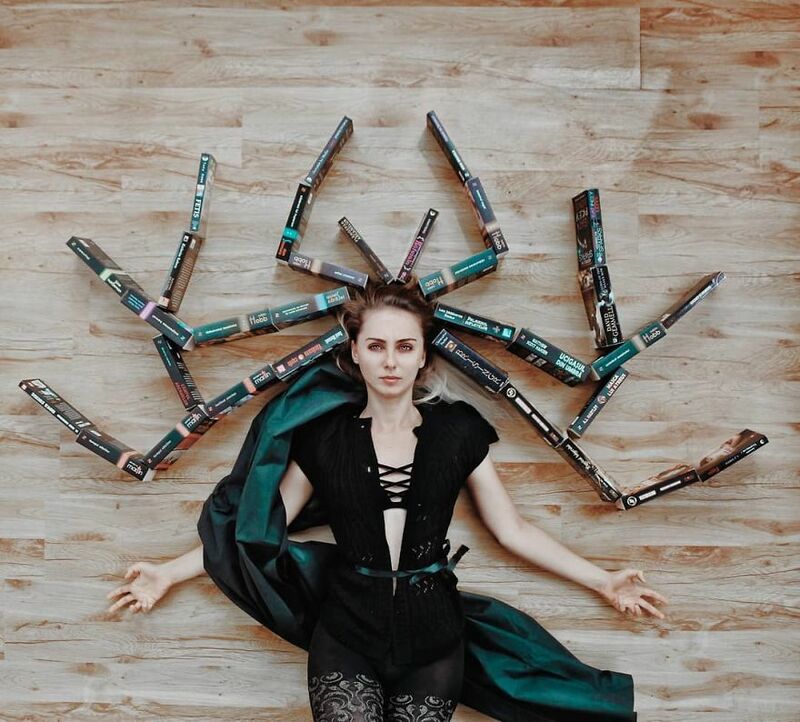 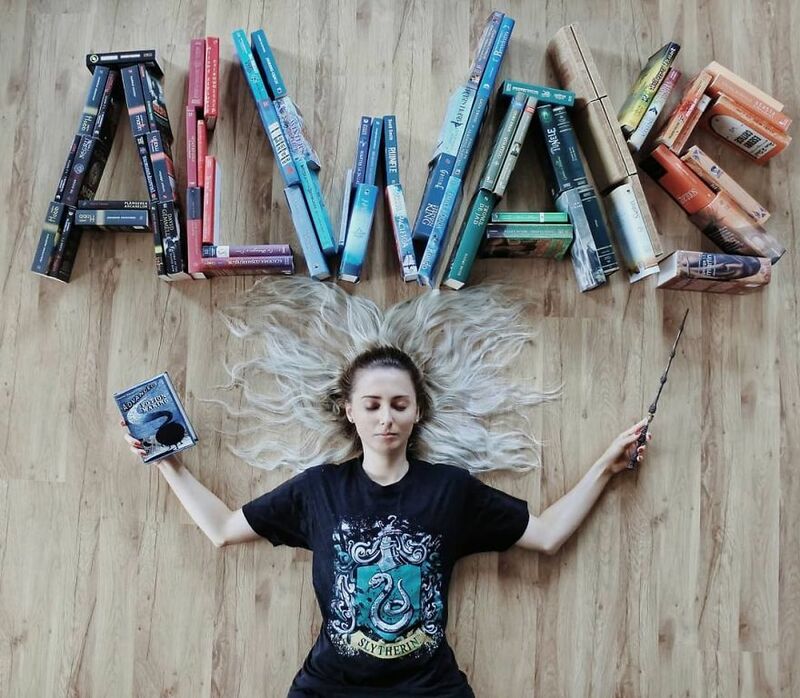 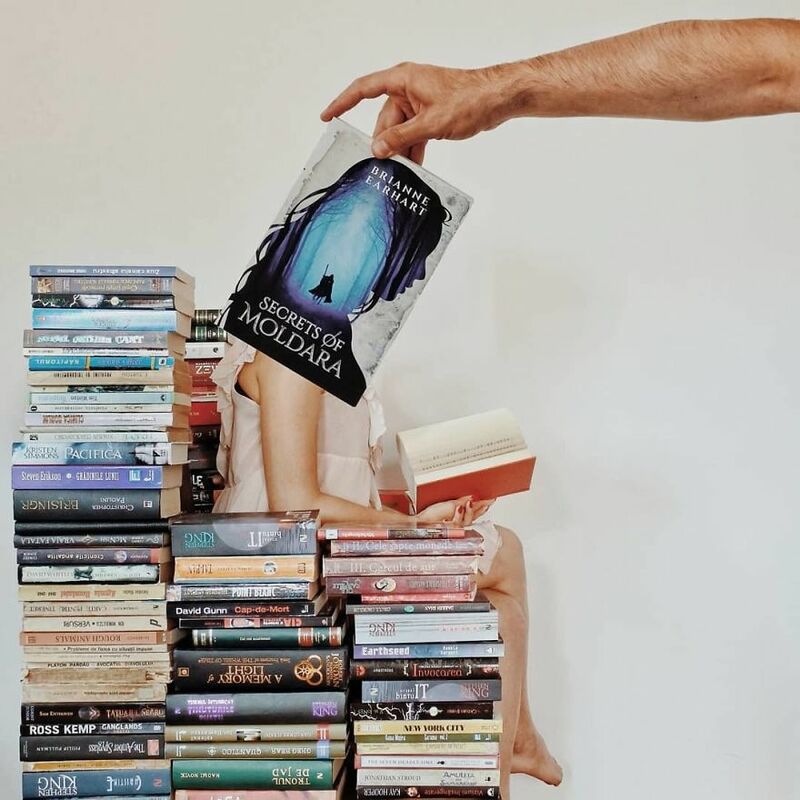 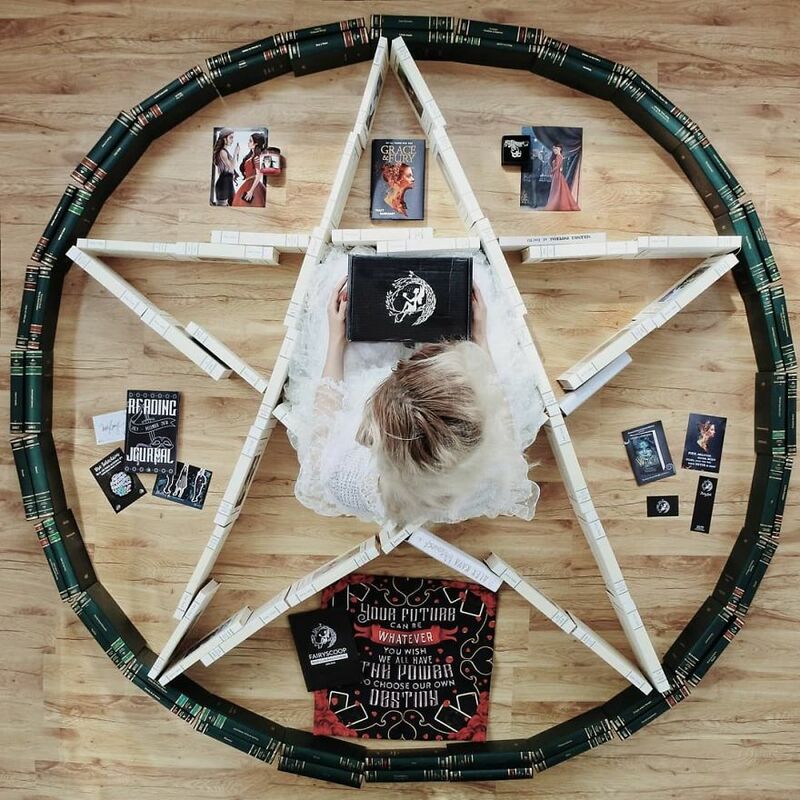 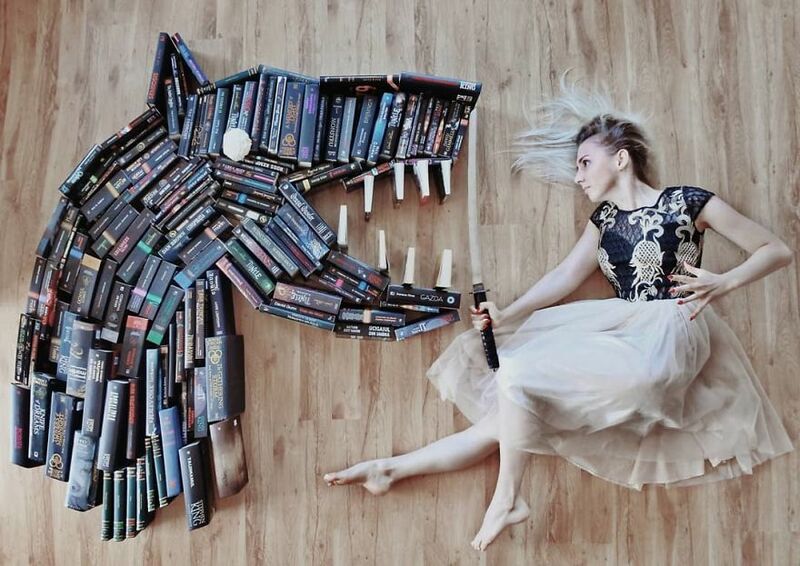 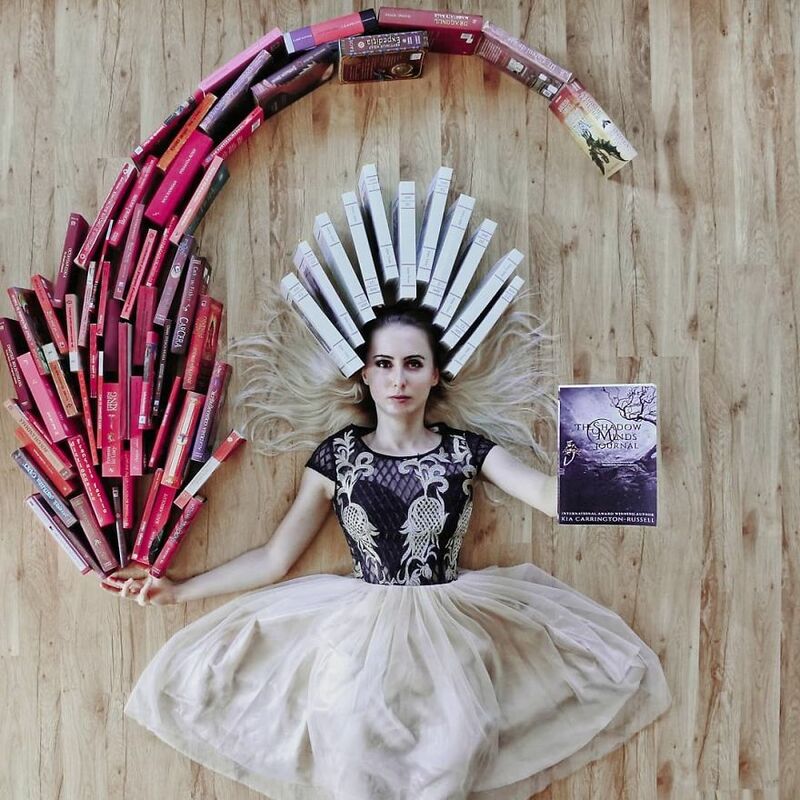 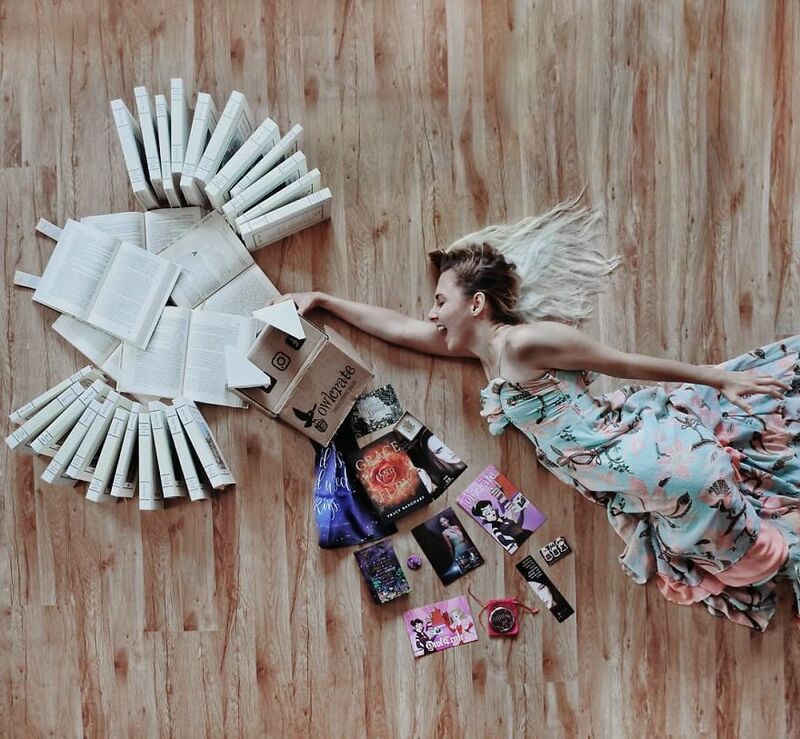 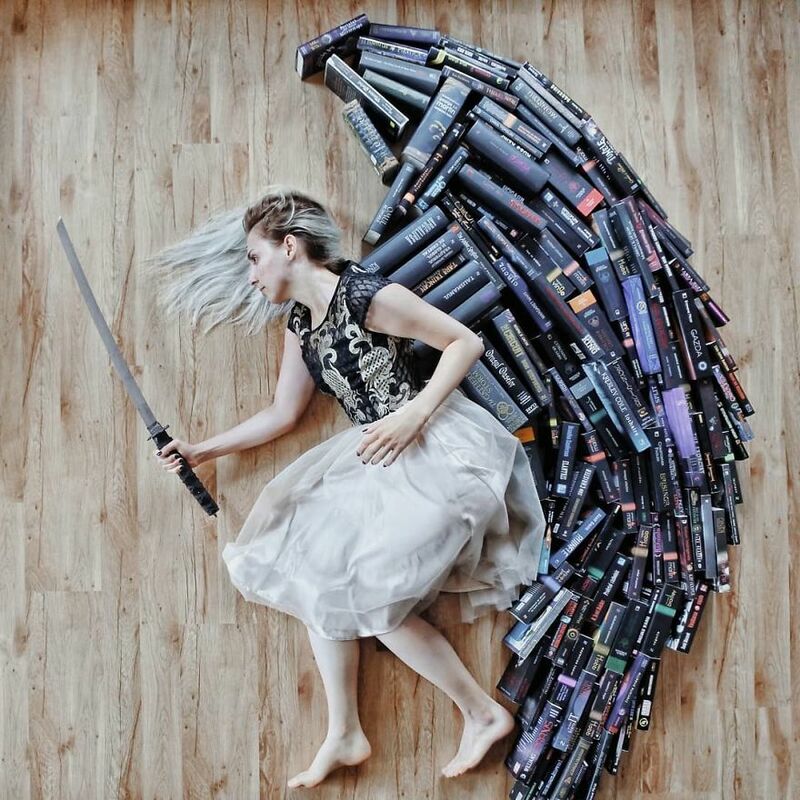 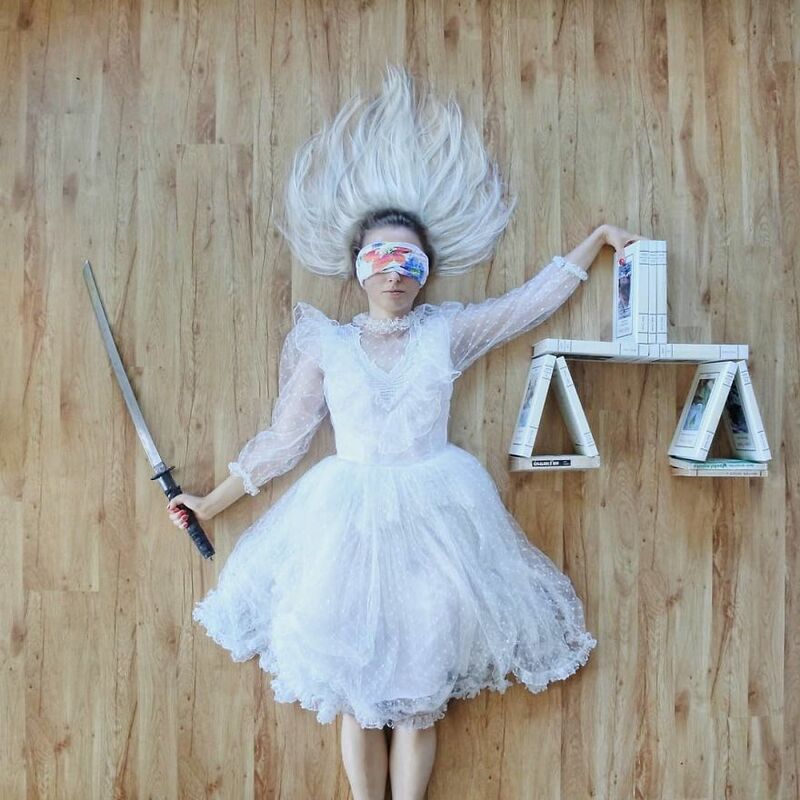 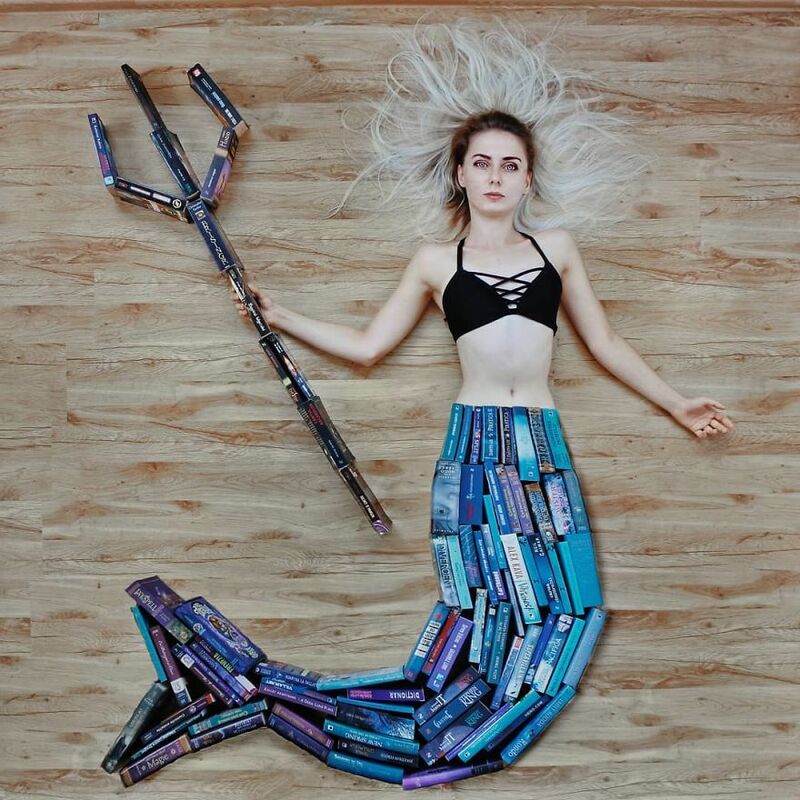 From a mermaid to a warrior fighting a dragon, scroll down the page and check out her cool Bookstagram gallery!